Sport and activities play a critical role in our well-being, and good habits taught early, can benefit a lifetime. That’s why the Town of Peace River’s Community Services Department partners with initiatives like the Canadian Tire Jumpstart Program, as well as other community and regional programs; to ensure that every child has to opportunity to take part in the sport of activity of their choice. This program provides funding for youth throughout Canada. Applications for funding assistance may be made online if you have questions you can call our Community Services Office at 780-624-1000. * Jumpstart also has a Community Development Grant Program for organizations that would like to apply for funding to offer their sporting program to youth of low income families. If you find that most of your participants come from low income families, it would make sense to apply for this grant to cover the costs of your program rather than the families applying to Jumpstart individually. 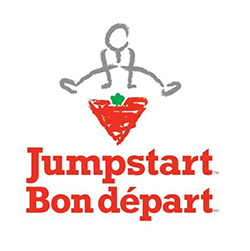 What qualifies for Canadian Tire Jumpstart Community Development Grant? The children must be from families in financial need. This program offers funding assistance and free gently-used sporting equipment for youth. Please phone their office at (780) 624-6677 and ask to speak to Constable Scott Peever for more information about the Pawatum Program. For activities in the Town of Peace River that aren’t necessarily sports related there is the Community Services Community Scholarship Fund, which is administered by the Town of Peace River. To qualify for this program you MUST be a resident of the Town of Peace River. If you are please fill out and submit your application form. This program is offered online and all applications must be submitted online. For information or to apply, please visit their website. For more information, please call 1-204-925-5914.